Ruby has had many losses in her life. With the loss of her birth family and adoptive mother, it caused her to close off to relationships. Upon joining our Mentoring Program she focused on accepting more meaningful relationships and opening up to others again. Someday she hopes to mentor other youth who had similar experiences. Compassion Planet has helped her emotional growth and supported her in building better life-skills during her time here. Ruby is currently studying sociology at UCLA. Since age 9, Alex was placed in over 26 foster/group homes. 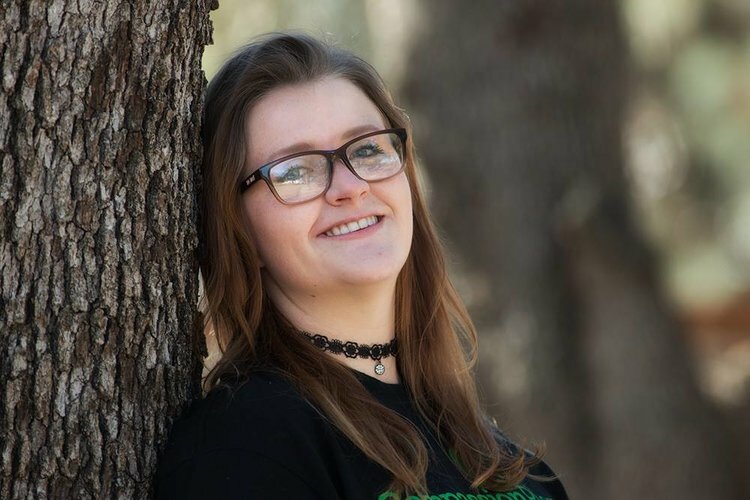 In her own words, “Depression, PTSD, anxiety, and bi-polar have taken a huge toll on my life.” She now considers her traumatic experiences a blessing, “as they have made her the woman she is today.” Alex hopes to become an inspiration to other foster youth by writing an auto-biography. Her goal is to continue her education and work in a field that helps and serves others. 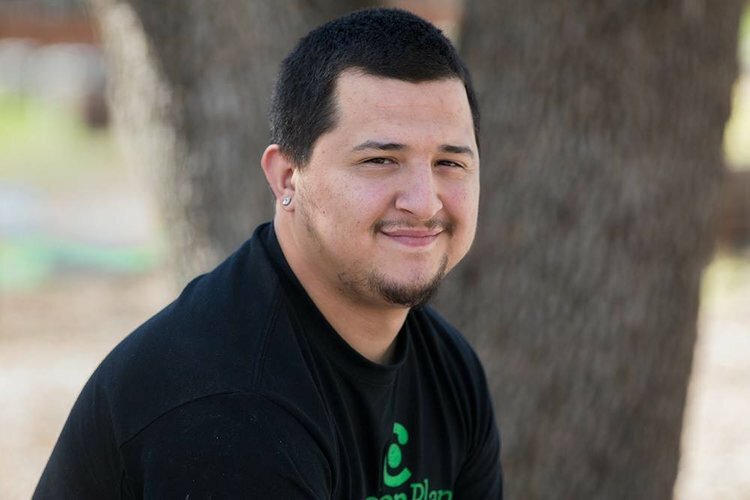 Jarael joined Compassion Planet at the age of 21 and he flourished in our Mentoring Program. At a young age, he and his eight siblings were separated and taken into the foster care system. While at CP, it didn’t take long to discover that he was an eager and quick learner with a kind heart and a winning smile. His dream was to become an auto mechanic and own a shop someday. Since graduating, Jarael has worked at a couple of local auto dealerships and completed his Auto Mechanic Certs at Sierra College. Drug and alcohol addiction claimed the life of Meagan's’ father and she has expressed her concerned that it could take her mom as well. Having battled addiction herself, Meagan is dedicated to being a stable person for her 10 month old sister and is striving to be within the 5% of foster youth that receive a college degree. Meagan began college while in our Mentoring Program. After graduating from Compassion Planet, Meagan worked with foster youth at an agency in Placer County. Her plan is to complete her education by attending a four-year college in Northern Californa next fall. Allison has struggled with anxiety and depression throughout her life. Since working with Compassion Planet, she has gained outstanding social skills and has grown in self-confidence. In her words, Allison “wants to be a voice for those who cannot speak by helping and protecting others.” Soon to graduate, Allison will be pursuing a career in auto-mechanics. Allison is happily married to her teenage sweetheart and she looks forward to starting a family of her own. Jah’mar was encouraged by his brother to join the Mentoring Program and we are glad he did. We soon discovered his high energy, friendly demeanor and positive attitude was contagious. While in our program he was hosted by an amazing local family who helped Jah’mar reach his dream of getting a football scholarship. He also enrolled at Sierra College and played on their football team. After two years on the squad, his dream came true as he was offered scholarships from multiple colleges. Today, he is finishing his college football career and education in Lousiana. 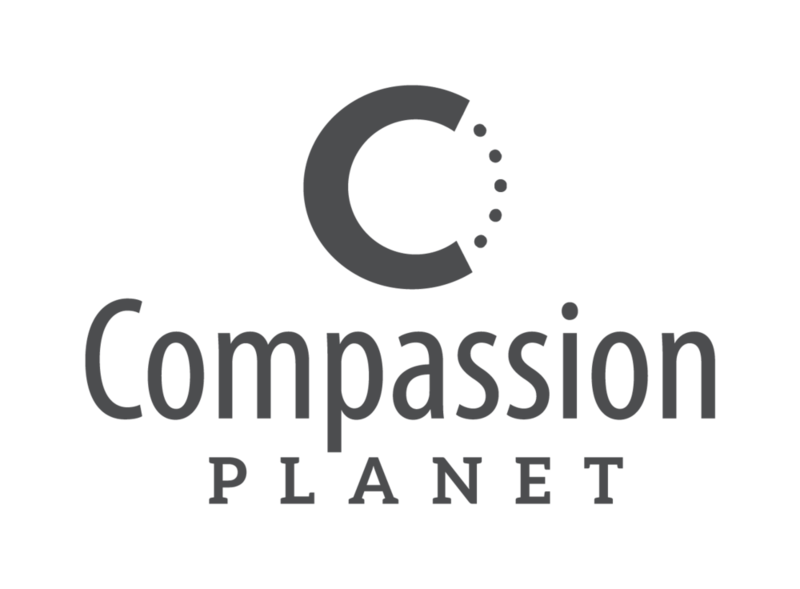 According to Jasper, “After years of being misunderstood, constantly changing schools and workplaces, Compassion Planet has been an exemplary source of stability, good intentions and socialization for me. I am continually motivated by the good ethics that those at Compassion Planet possess.” Jasper successfully graduated our program after much personal growth. Since then, he has continued to be employed in two retail environments as he successfully pursues his entrepreneurial dreams. Drug addiction tore apart Adrian’s family, forcing he and his brothers into foster care. At age 18 he reached out for help, got a place of his own, and helped his brother get sober. Now, in his young twenties, Adrian has permanent employment with a local restaurant. Speaking about CP’s Mentoring Program, Adrian says, “people actually care about my well being... If I need help it’s only a phone call away.” Adrian has an outstanding work ethic and we are confidant that he will add value to any place he is employed. In her own words, Brittany states, “Compassion Planet has taught me to be more positive and to look on the brighter side. I continue trying to live without being so stressed. Being at CP has helped me learn how to relax, take my time, and do the work right.” Since graduating, we are proud to say that Brittany has been employed at a local daycare. Gambling, alcohol and drugs wreaked havoc on Crystal’s childhood. Entering foster care at age 12, she was in 6 different foster homes by age 18. Crystal appreciates the CP program because it has made her “feel more complete” and has allowed her to “be herself.” Crystal achieved incredible growth in her people skills and self confidence while in our Mentoring Program and now she is flourishing in a large retail environment. Born in a Sacramento County jail, Joicelyn was a drug baby and separated from her mother at birth. Over the years she has faced her obstacles with an unrelenting, positive attitude. While in our Mentoring Program, she learned to trust people and gained an loving family network who helped prepare her for life’s journey. Joicelyn is expecting her first child and her sole desire is to be an outstanding mother in every imaginable way. Committed to this end, CP helped her connect with a program that provides added loving support, housing and training in parenting skills. Compassion Planet looks forward to playing a continued role in Joicelyn’s bright future. Aimee has dealt with anxiety most of her life. Through the Compassion Planet Mentoring Program, she has become more confident and a little more transparent with safe people. Aimee often shares that some of her weaknesses have become her strengths. After graduating from Compassion Planet, Aimee pursued her dream of becoming a certified Esthetician. We are so proud to see her realize her dream and now she is working in the field in which she has been trained. Jacob was born as a surviving twin to a drug addicted mother who didn’t get into recovery until he was six. Fortunately, his grandmother was able to provide care for him till his mother rejoined them after her recovery. Jacob has completed an Associates Degree in photography. During his time at Compassion Planet he has enjoyed his friendships with staff and his peer group. In Jacob’s words, the Mentoring Program “has made me much more comfortable communicating with people.” Upon his graduation, Jacob will be working with CP’s Hire Me Next team to help him find his long-term career path. Matthew has suffered from depression and PTSD as well as having Asperger’s. 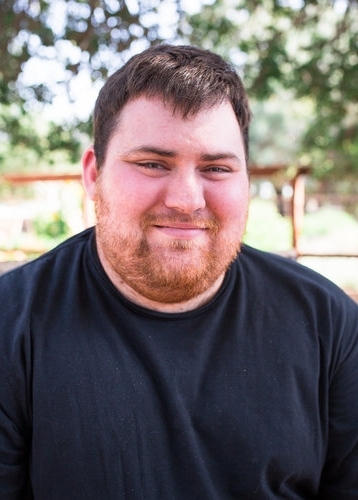 He hopes to overcome an abusive past and one day become a therapist so he can help others through their “tough situations.” Today, Matthew continues to work hard at overcoming some of his challenges as he successfully works at a local fastfood chain.